Following two days of relative stalemate in the Pyrenees, no one was quite expecting the fireworks we got today on what might have been a fairly innocuous Tour de France stage to Gap. Comprising just one second category climb that summited with 11km to go, the stage nonetheless saw Alberto Contador go on the attack, Cadel Evans counter that move and Andy Schleck lose over a minute on these two rivals. Up front the stage was won by Thor Hushovd who took his second individual stage victory in this year’s Tour from a three man sprint. With Garmin-Cervelo team mate Ryder Hesjedal leading out the trio, Hushovd just had the considerable sprint power of fellow Norwegian stage winner Edvald Boasson Hagen to worry about. But the Team Sky man helped Hushovd to his win by momentarily choosing to look at the ground just as Hushovd was launching himself up to speed from behind. 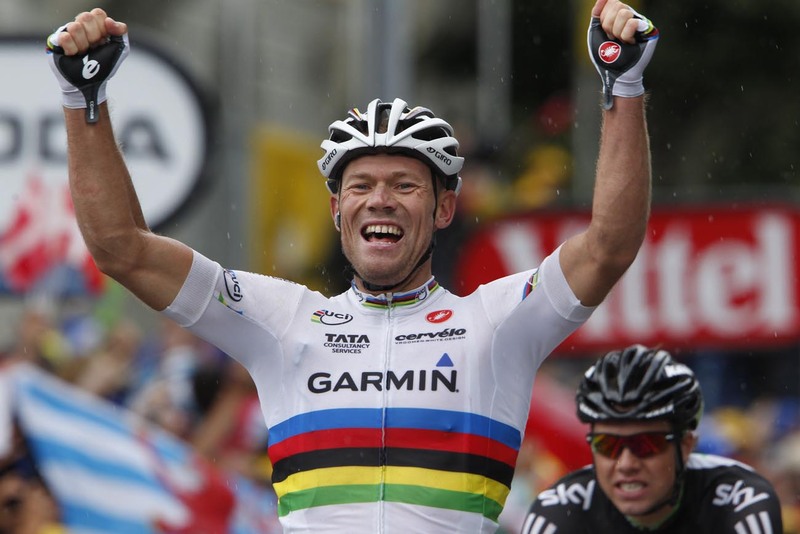 In taking the win, Hushovd, recorded his tenth (individual) Tour de France stage victory. It was the nine kilometre Col de Manse that set the scene for the impromptu showdown between the favourites. Having been focussed on the break-up up the ten man lead group, the TV cameras suddenly shot back to the bunch as Condator fired himself off the front. Although this initially caught his rivals napping, it was only a matter of seconds until Fabian Cancellara took to the front to pull team mates Frank and Andy Schleck back up to him, along with Cadel Evans. Following the phoney war of the Pyrenees, it wouldn’t have been a surprise for that to be the end of matter. But refreshed from the Tour’s second rest day (and all that that might imply), Contador wasn’t going to let it rest there. After a brief sortie by team mate Benjamin Noval, he went once again. With yellow jersey Thomas Voeckler and Andy Schleck quickly on him, and Evans dragging the rest of the contenders up, the Spaniard was forced into making a third attack. Ploughing away with Evans and Sanchez, this was the one that stuck. Behind, Schleck led the rest of the favourites towards the top of the 1,268m summit. But it was the drop back to Gap (which the race had also passed through before the climb) where the really interesting action happened. The same descent where Joseba Beloki fractured his pelvis in the 2003 Tour, but wetter, it saw Evans deftly manoeuvre himself clear of Contador and Sanchez while a clearly cautious Andy Schleck slipped behind the rest of the chasers. 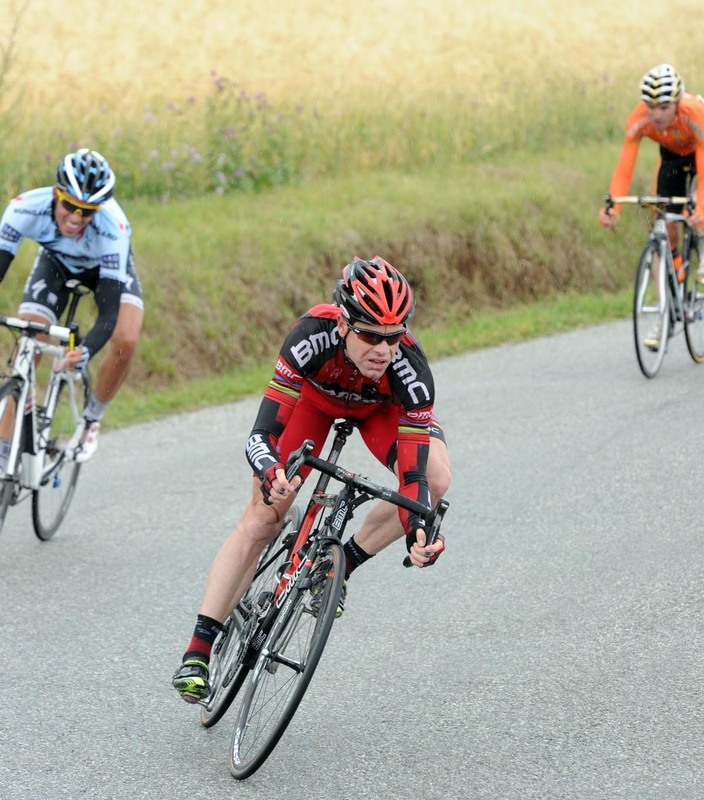 At the line Evans had gained three seconds on Contador and Sanchez, who in turned had gained 18 seconds on a group containing Frank Schleck and Thomas Voeckler. 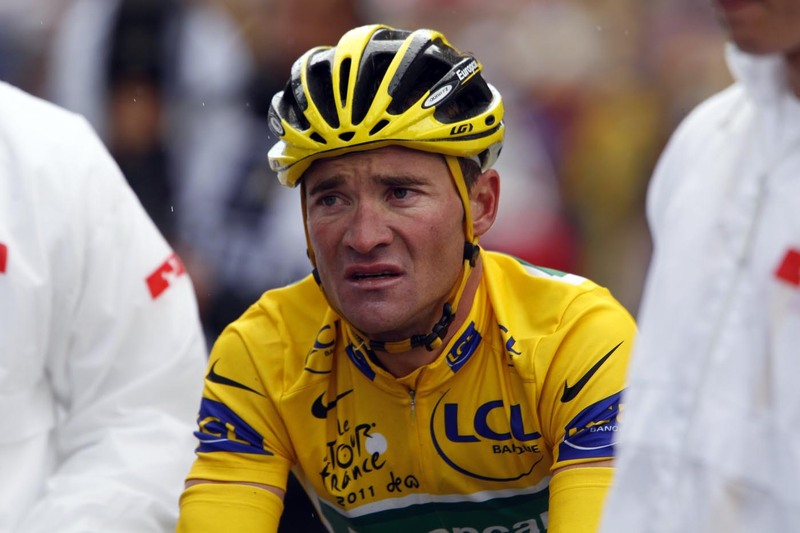 Ivan Basso finished in a group 54 seconds down on Evans, while Andy Schleck was in the next huddle at 1-09. Jose Rojas and Philippe Gilbert led in the Voeckler group for 14th and 15th place, stealing back three and two points respectively on Mark Cavendish in the green jersey race. Anthony Roux crashed just in front of Voeckler as they chased down the descent, but was quickly back on his feet. On Wednesday, the riders travel from Gap to Pinerolo for stage 17‘s 178km of undulating Alpine scenery. 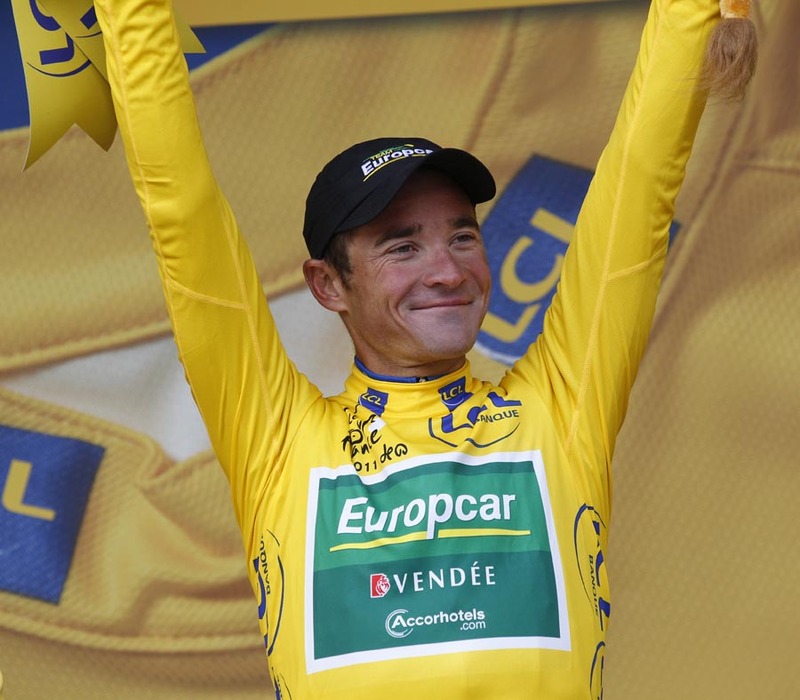 The 2011 Tour de France concludes in Paris on Sunday, July 24.